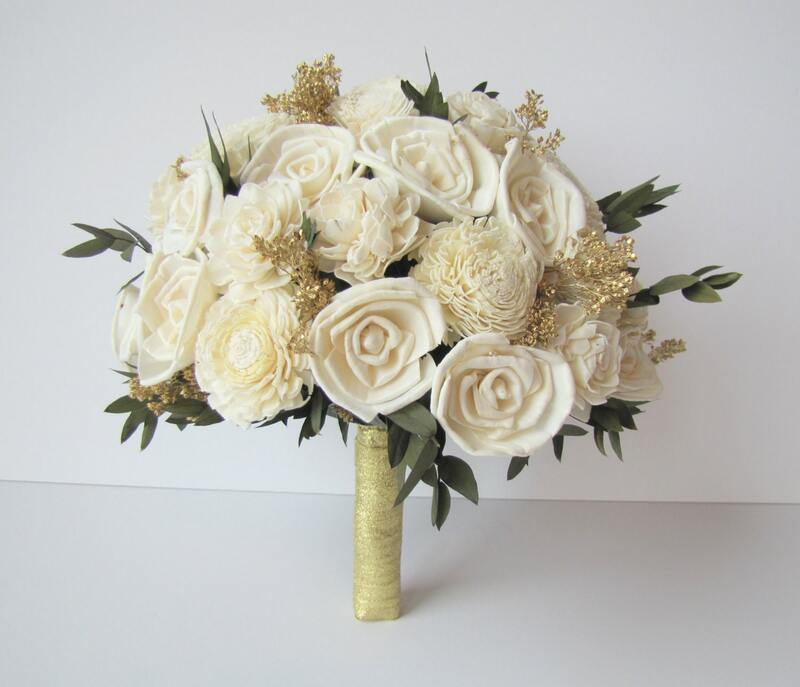 This large bridal bouquet includes a beautiful mix of ivory or cream colored sola flowers and preserved gold accent flowers making it a great keepsake for after the wedding. 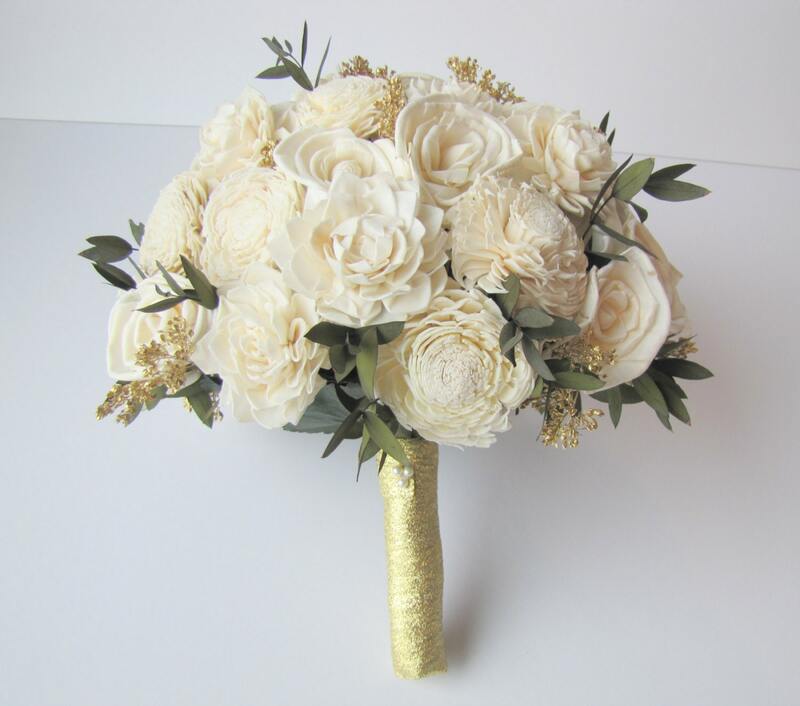 The light weight bouquet is approximately 10" inches in diameter. A great size for a bride of any body type. 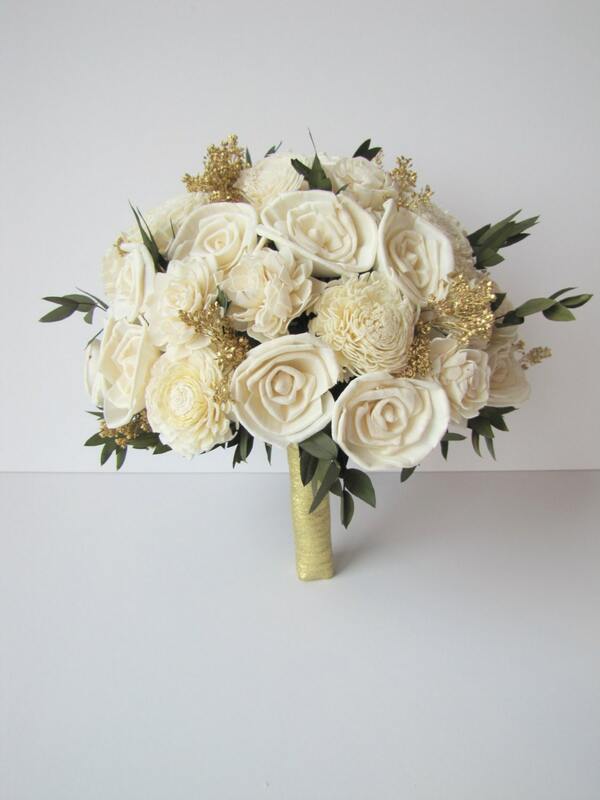 At checkout - you may specify the color of ribbon you would like used on this bouquet. This is a "made to order" item. Turn around time is 2-3 weeks. However, if I have all supplies on hand, I will ship it out to you sooner. If you need it as a rushed order, please convo me to see about possibility. 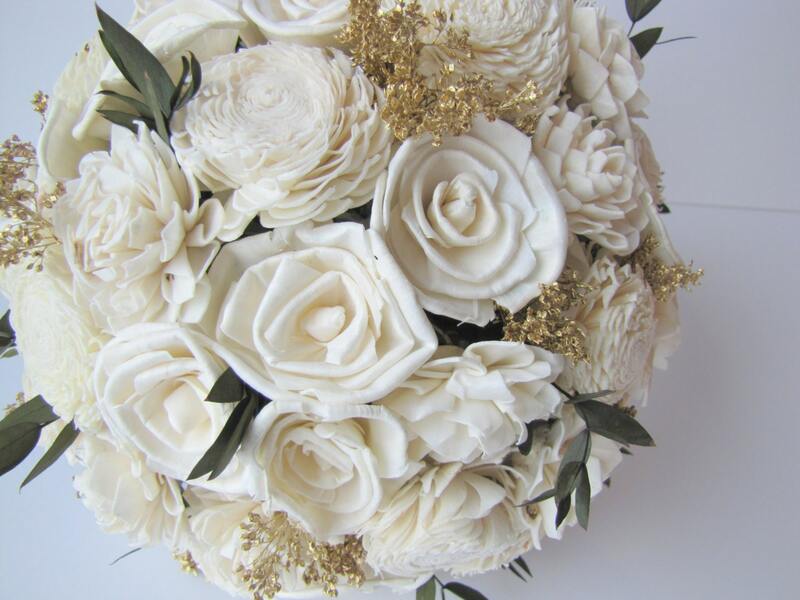 I can create similar smaller bouquets, coordinating corsages and boutonnieres, ring bearer boxes, flower girl pomanders... Convo me if you're interested in any of these pieces being custom created for you. Otherwise I have a variety of items already on my shop that will coordinate well with this bouquet. Sola flowers are handmade (not by me), out of soft tapioca or balsa wood shavings. They feel like they are made out of a thick paper. Each flower will vary slightly and may have small, natural imperfections which are all part of their beauty. Preserved flowers are real flowers that have been dried and preserved professionally. Very beautiful flowers, good turn around time..
What a gorgeous bouquet! It was beautifully packaged and arrived in one piece. One of the flower petals had broken off, but not noticeable. I'm very happy with these flowers and can't wait to walk down the aisle with them!